Choi Jeong Hwa, who the LA Times called “the internationally recognized leader of Korea’s Pop Art movement” had a few works included last month as part of the Perth International Arts Festival in Australia. 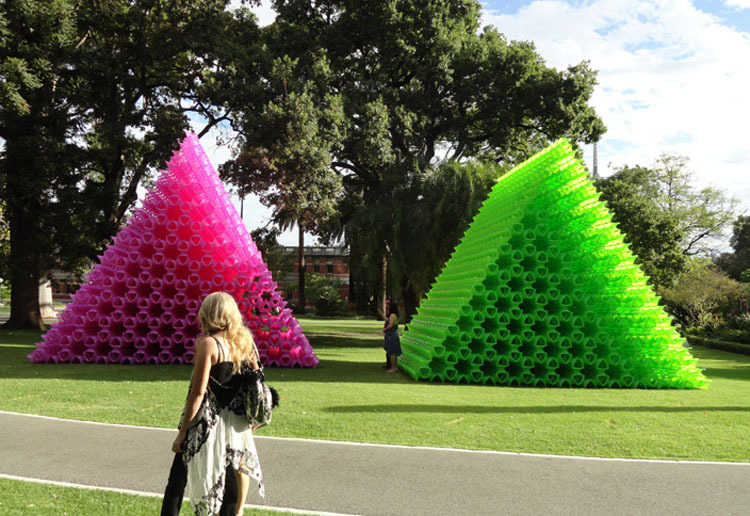 Typically using synthetic materials in oversized installations, it’s not surprising that Air/Air, two pyramids in the Stirling Gardens, was made up of over 15,000 molded plastic shopping baskets, one pyramid in pink, the other bright green. 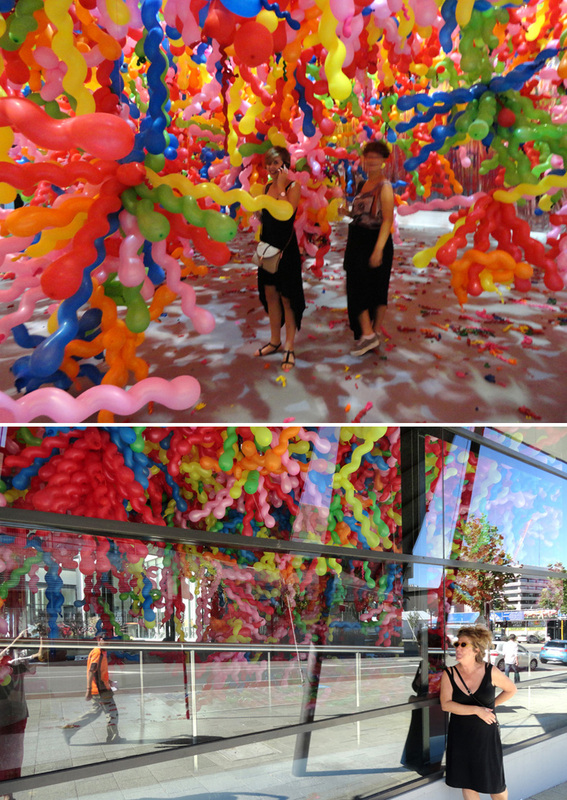 His installation in the Gallery Central, Life/Life, consisted of 15,000 squiggly balloons creating an explosion of synthetic color for people to walk through and interact with, giving the sense that synthetic materials are taking over the world. 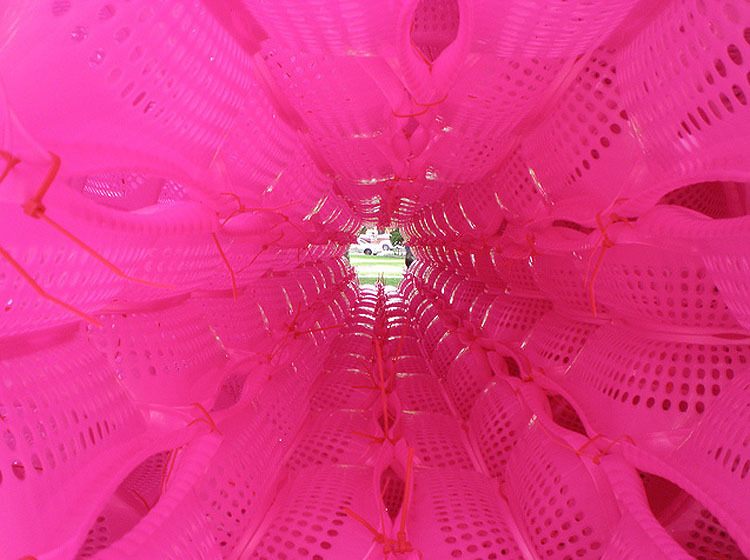 You can see much more of Choi Jeong Hwa’s work on his website, including his giant motorized red lotus sculpture Breathing Flower, also at the Perth International Arts Festival.